BAGHDAD, Sept. 7 (Xinhua) -- Dozens of demonstrators stormed the Iranian consulate in Iraq's southern city of Basra and set fire to the building after the security forces withdrew, a local security source said on Friday. 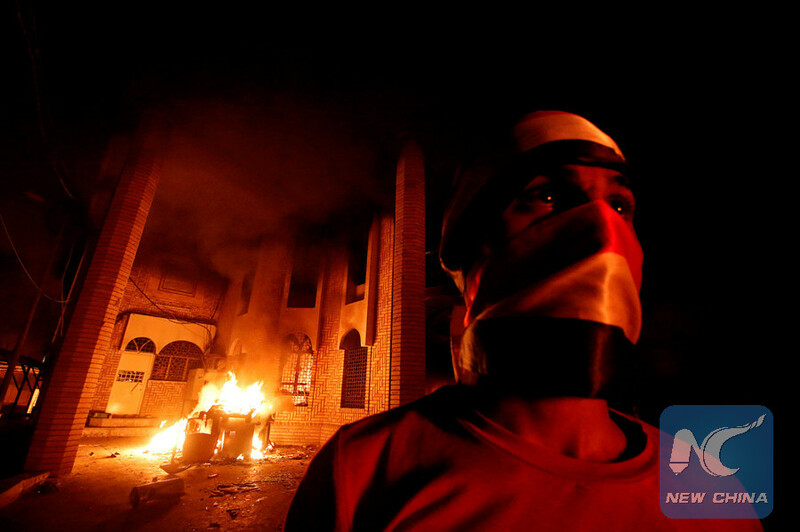 The incident occurred after sunset when angry protesters forced the security forces guarding the consulate to withdraw, paving way for the protesters to broke into the consulate building and burn it, the source told Xinhua on condition of anonymity. The burning of the consulate came after days of intensifying protests in Iraq's southern oil-hub province of Basra, as hundreds of angry demonstrators burned offices of leading political parties and headquarters of some Shiite militias in protest over wide-spread corruption and water contamination in Basra province.